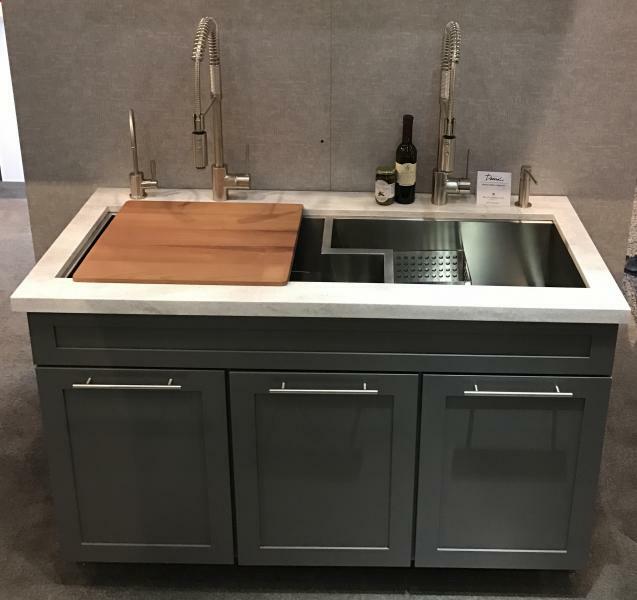 Kitchen and bath products brand Rohl says its new Culinario Sink features a special sloped base and an off-set drain to transform a problem area into the ultimate in functionality. According to the company, under the kitchen sink is one of the most difficult places to create more storage and organization. This sloped design helps. “The design of the Culinario Sink is 40-years in the making and takes four decades of industry knowledge between my father, Ken Rohl and his friend and colleague, Kelly Stewart, who designed the Culinario and combined it with Italian engineering and craft in stainless steel to create this ultimate solution,” says Greg Rohl, vice president of marketing for the company. The sink is made from commercial 16-gauge stainless steel and uses insulating “quite coat” technology that reduces splash back sound and muffles the noise from heavy pots and pans hitting the sink walls. Culinario is available in two sizes—a double bowl measuring 49 inches by 16 inches and single bowl measuring 36 inches by 16 inches.